AAPGAI (Advanced, Single Handed Rod) member Aleksandr Chernysh lives in ST. Petersburg, Russia and lives for his fishing. He founded St Peterburg Fly Club and organises fly fishing festivals and competitions around Russia. To keep himself busy when he’s not fishing Aleksandr holds regular fly fishing classes during the warmer months (April-October) and weekly fly tying classes during the rest of the year. 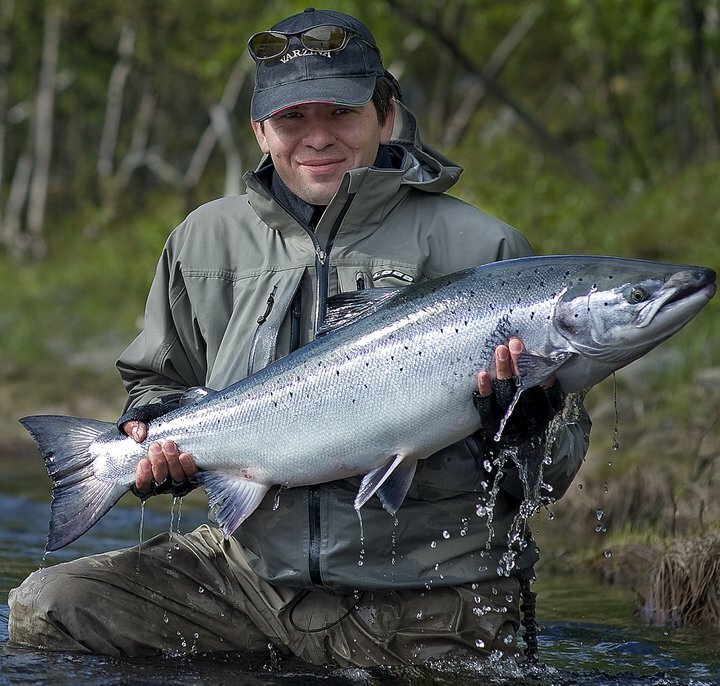 In the spring Aleksandr fishes the Baltic sea for sea trout, pike and salmon and also travels to the Koala Peninsula to fish for salmon. In summer and autumn he spends his time with fishing tours around Russia, Europe and even Mongolia! He says his main fishing is for salmon, trout, graying and pike but he’s caught almost 40 different species on the fly. Notably, Aleksandr is involved with a winter ice fishing competition when the air temperature can drop to -20c. However the festival is held on a nuclear power plant cooling lake so fortunately the water temperatures are a good deal warmer! 2015 will be the 3rd year the event has been run and the previous two have been hugely successful. Check out last years event on YouTube. it’s well worth a look!